Recent experiences across the globe show that social crises have economic explanations. 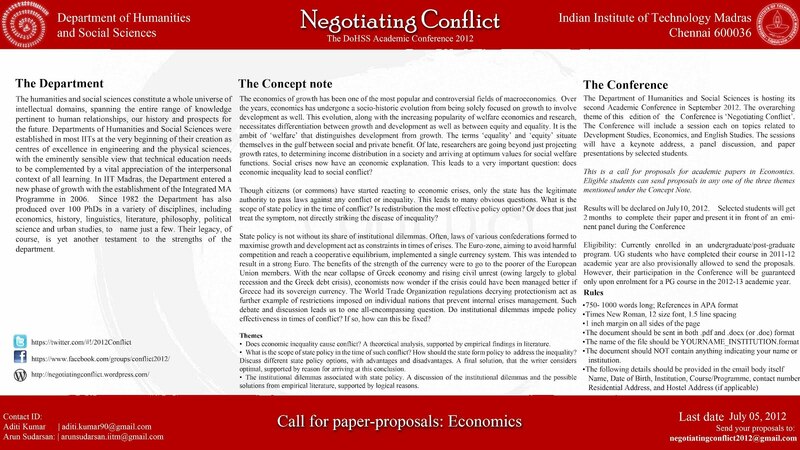 Given this background, the Economics stream of the conference looks to address the questions of the relation between economic inequality and social conflict, the scope of the state policy during crises and the state’s institutional dilemmas while implementing a policy decision in its best interest. Please find attached a concept note for the details regarding the Economics stream. 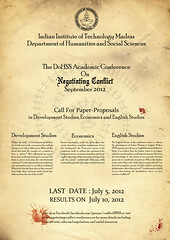 This entry was posted in Details and tagged Call for Papers, Conflict, Economics, State Policy. Bookmark the permalink.